Now that this broader range of emotional responses is available, though, it’s worth thinking about how they could impact your brand. 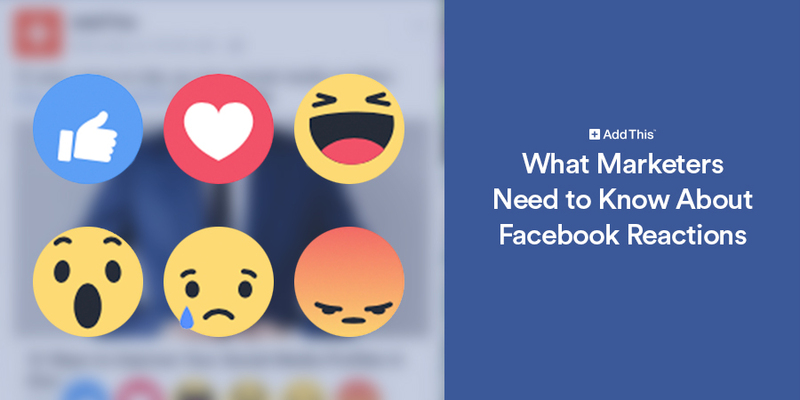 In our AddThis Academy article, “What Marketers Need to Know about Facebook Reactions,” we explain the purpose of this new Facebook feature, and discuss how both customers and brands can take advantage. Check out the full article for a rundown about how Facebook Reactions are changing how users and brands interact with the platform, and see how brands can benefit from a better understanding of their customers’ emotional reactions.